Robert S. Rosborough is a lawyer, mediator, and professor with a diverse practice focusing on elder issues and estate planning as well as land use, environmental, real estate, and small business. His mediation practice emphasizes cases in which there has been an ongoing relationship among the parties, such as disputes involving families, homeowner associations and neighbors, partnerships, and small business. Rob earned his B.A. from Yale University and his J.D. from Stanford Law School. He began his practice in 1985 as an environmental compliance and land use lawyer, practicing for over a decade at Pillsbury Madison & Sutro (now Pillsbury Winthrop Shaw Pittman), one of San Francisco’s oldest and largest law firms. He then practiced on his own, expanding to include other real estate matters (particularly leasing and contracts), as well as general corporate matters. His current focus is on the more personal and small business aspects of law from estate planning and elder issues to residential land use, and small business contracts and planning. Rob has served as President of his own homeowners’ association for many of the last 30 years and is intimately familiar with the complex dynamics of HOAs, in addition to knowing the controlling law in this area. Similarly, his knowledge of elder law is informed with the understanding that comes from extensive personal experience with his own family. In 2015, he and a colleague developed a unique course in conflict resolution for everyday life for the Fromm Institute at the University of San Francisco, where he continues to teach a wide variety of subjects. 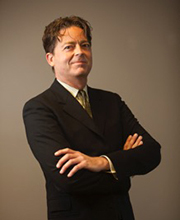 Rob also serves on the board of directors of the Marin County Bar Association and is the editor of the Marin Lawyer. He is a volunteer attorney for Legal Aid of Marin, a mediator for the San Francisco Department of Police Accountability and San Francisco’s Community Boards. Rob is a member of Integrative Mediation Bay Area, the Association for Dispute Resolution of Northern California, the Trusts and Estates section of the California Bar, BALIF (Bay Area Lawyers for Individual Freedom), San Francisco Network for End-of-Life Care, and the Marin Section on Aging. In addition to his many legal skills and experiences, Rob is a certified meditation teacher and teaches meditation to lawyers, corporate clients and at the San Francisco Integral Yoga Institute. For more information, please see www.manjushrimediation.pro. Mediation, estate planning and elder law, environmental, land use, real estate and small business advising. Mediation, facilitation, arbitration, conflict coaching, conflict resolution teaching and advising. Land use, environmental, real estate, small business advising, estate planning. Environmental, land use, health and safety.